Jung Dol Mi, played by Jung So Min, is 3rd year resident from a hospital in Busan. She comes to Seoul to transfer a patient and also in hope to see Prof Han Woo Jin, played by Ha Seok Jin. Jung So Min is doing great so far. I like how she talks. It has accent to it, Busan-like. I seriously don’t like Prof Han. Up to ep 2, his actions scream “I don’t want to take responsibilities on boom-ticking patients”. Boom-ticking patients are patients who are nearing death. He has been sending out many patients because of that. His character is a harsh man, from what I’ve seen so far. He’s even harsh to Nurse Park. So far we don’t know what kind relationship Prof Han and Nurse Park share. Maybe past lover? Sungyeol is doing fine. He turned me off at first, tbh because he’s an idol and yes, I can’t let go that acting-dol stereotype. Cha In Pyo!!! How excited I was when I saw him on my screen! I couldn’t help but got reminded of his role in the movie, The Flu. I’m looking forward to seeing him much more often for the rest of the show because I predict he’ll have big part in this drama. The plot is moving at LTE speed and everything is perfect so far. In ep 2 we get a lil bit deeper to Lee Hae Sung’s life even though we still don’t know for sure why his mother is in vegetative state. Is it really because of malpractice done by the doctors in Mirae that’s why the hospital is still keeping her. We still don’t know. 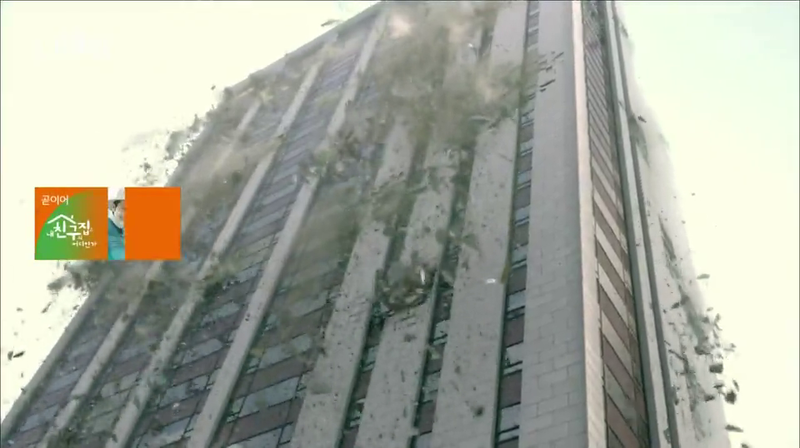 The ‘disaster’ has already started in ep 1, starting the end, a crane fell. 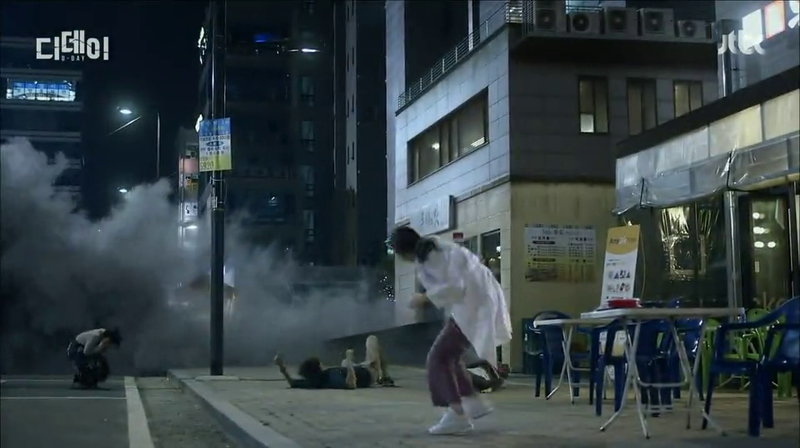 The first 30 mins of ep 2 spent on the patients of that falling crane. The last 2 mins of ep 2 is really intense. The earthquake is really strong and this is, the start of this drama. It’s only ep 2 and the disaster is already in this large scale. It’s a 20-ep drama, I’m really afraid that the team would be running out of ideas to fill the quota. It’s a disaster drama, I mean, hey you’re not going to make earthquake every now and then, right? 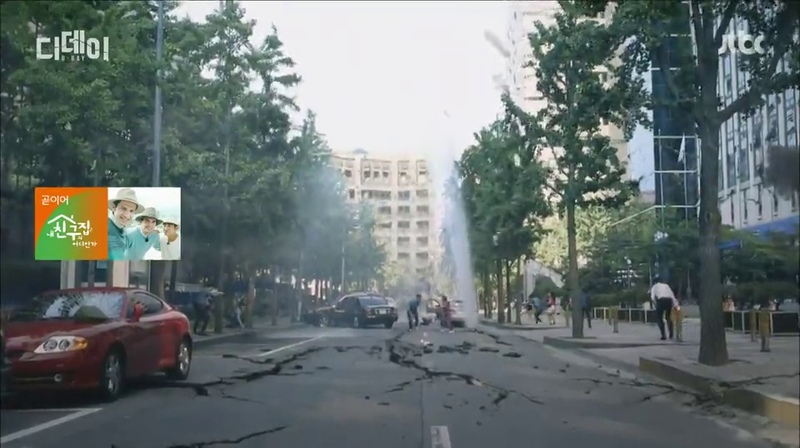 And judging from the scene on ep 2, the scale is not just around 5 or 6 magnitude, probably around 7-9 magnitude as the building are starting to crush down after seconds but on the sneak peak of ep 3, the hospital is still fine. Meanwhile, the building shown in ep 2 are all collapsed. Oh well. It’s a drama after all.